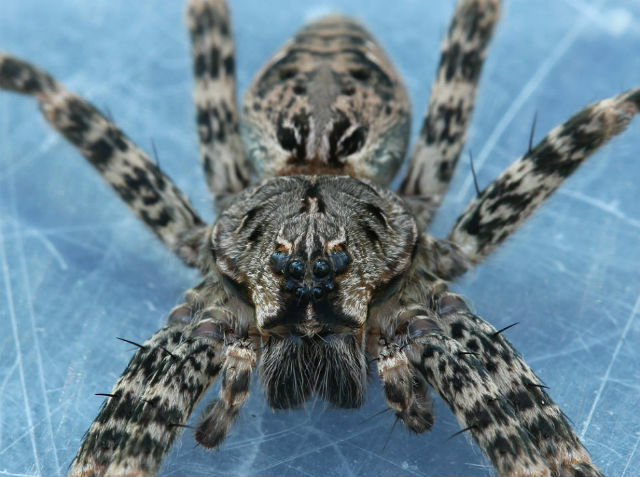 Fishing Spiders are similar to the larger Wolf Spiders in size, shape, and coloration. They get their common name because most live near water and have been reported to catch small fish and aquatic insects from the water as they walk on the surface. I tend to find them in and around my shed, which is close to a creek that runs through my backyard. This creature is frequently associated with wooded areas and I’ve seen them in the local Metroparks, especially in damp areas. 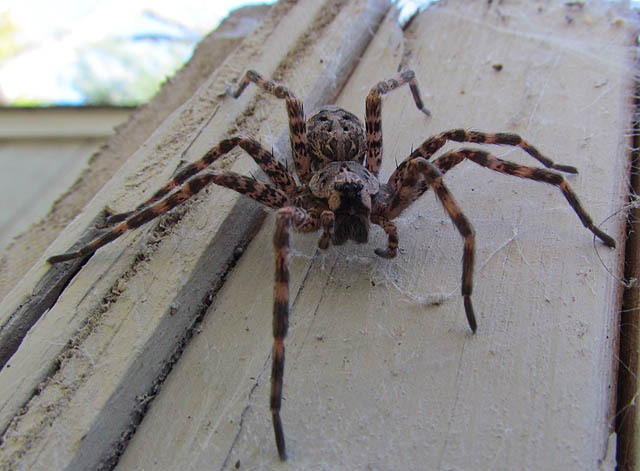 This is a fairly large spider, with females being twice as large as males. When outstretched legs, one can measure over 3” long. Both sexes are brownish-gray in color with black and lighter brown markings. The legs have dark rings and long spines. 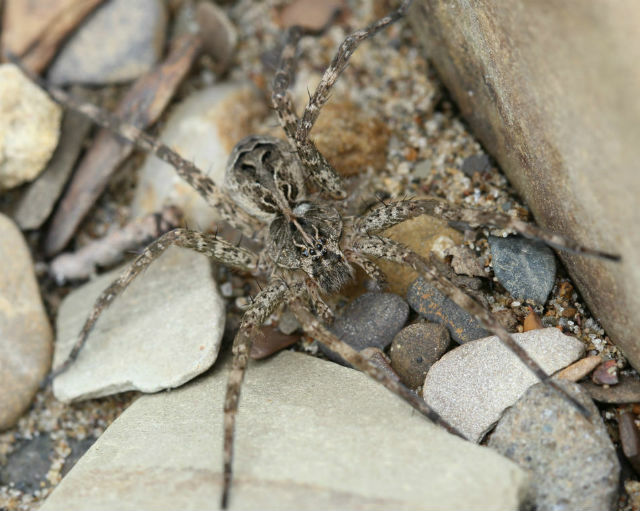 Ohio hosts five species of fishing spiders, all members of the nursery web spider family. 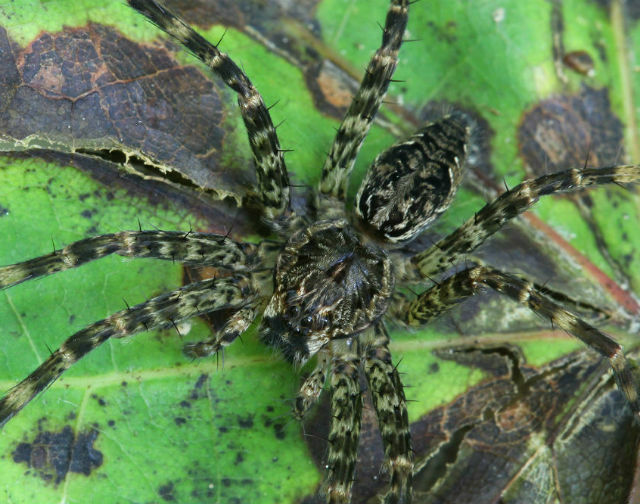 These arachnids don’t spin conventional webs, instead they ambush and pounce on prey. Young spiderlings may be found from July through September. The young are guarded by the female in a nursery web and may number 1,000 or more. 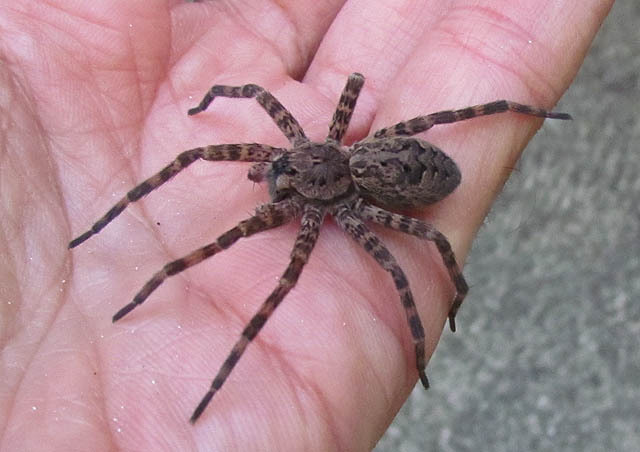 As horrifying as fishing spiders might appear, they are utterly harmless to people and are quite shy. They also play a pivotal role in controlling insects, which would otherwise surge out of control. 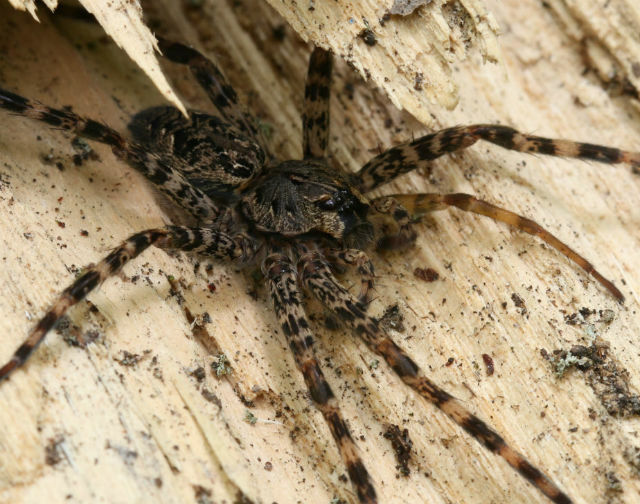 This entry was posted in Spiders and tagged Dark Fishing Spider by tspuckler. Bookmark the permalink.